Each spring and fall, admissions representatives from Dartmouth College, Northwestern University, Princeton University, University of California-Berkeley, and Vanderbilt University collaborate on a series of events across the country designed to educate students and parents on selective admissions, financial aid, and the common admissions philosophy shared among the five institutions. Students and parents are encouraged to take this opportunity to speak informally with admissions representatives as well as to explore the defining characteristics of each school. To learn where the Coast to Coast College Tour is headed next, visit the Coast to Coast website. Questions? Email questions@coasttocoasttour.org and you should receive a response within 48 hours. Each fall, the Directors of Admission from Vanderbilt University, Tufts University, and Vassar College host joint information sessions in a number of cities. Lasting 90 minutes, these events provide students and parents with a general overview of highly selective college admissions, the admissions/financial aid processes at all three institutions, and an introduction to the respective schools. There is also time to ask questions and chat with the school representatives. Admissions representatives from Columbia University, Dartmouth College, Princeton University, and Vanderbilt University will travel to South Carolina for joint information sessions this fall. Each session lasts 90 minutes and provides a general overview of each institution, highly selective college admissions, and the financial aid process. There will be plenty of time for questions. You're invited to join admissions representatives from Colby College, University of Michigan, Northeastern University, Vanderbilt University, and Washington University in St. Louis for a joint information session in your area. Each school is committed to ensuring all students have access to apply, and we look forward to sharing more about our distinctive offerings with you. Click on the dates below to learn more and to let us know you're attending. Check back for fall 2018 events. Vanderbilt and partner schools host joint information sessions across the globe. These sessions introduce students and parents to the distinct qualities of each institution as well the common admissions philosophy shared among them. These events also explore the finer details of the selection process, how financial aid works, resources for international students, and more. VAIS Fair Presentation 2018 - Duke University, Johns Hopkins University, Northwestern University and Vanderbilt University will jointly present "How to Navigate Selective College Admissions" and "Effective College Essay Writing Tips" on Wednesday, October 10, 2018 from 5 - 6:30 p.m. The SEC College Tour is a joint travel partnership among the 14 schools of the SEC. High school students and counselors are invited to college fairs to gain insight on a variety of key admissions topics direct from deans and directors of admissions from each university. Additionally, the SEC College Tour holds events specifically for counselors. This is your opportunity to hear individual presentations from each school and to engage in informal conversation with your colleagues. Registration for the counselor breakfast is required and is limited to two counselors per high school. 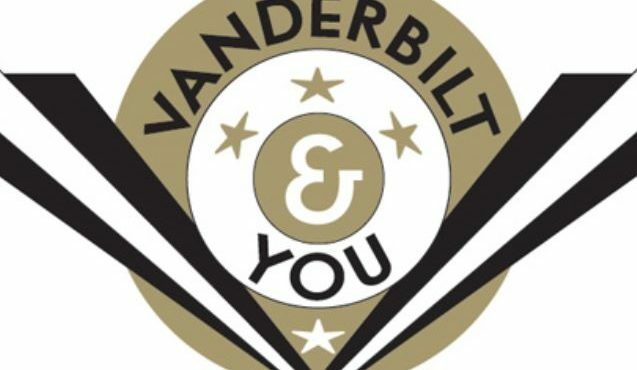 You can also meet Vanderbilt representatives at college fairs across the United States and internationally.